How to Claim Your Business on Google & Why it is a Must for Your Online Reputation! In the age of the internet, an online presence can make or break a business. Having an engaging and user-friendly funeral home website is the right place to start, but these days just having a website isn’t good enough. You need to think a step ahead in the process and ask yourself “how are people finding my website in the first place?” One of the most common answers will undoubtedly be “search engines”. If someone is searching for a business within their area (chances are this is the case with funeral homes) then the results will likely come up as a “local listings” or Google Places page, such as the one below. Many funeral homes (and other businesses) don’t even know this page exists for their own firm and as a result their page is there, but not represented. Claiming and monitoring your Google local page isn’t just an added bonus to your firm, not doing it could actually be turning away business. Before we get into why that is, let’s talk about what exactly Google Places is and how it fits into your online strategy. When dealing with anything Google-related, it helps to remember what exactly it is that Google is trying to accomplish. Google’s (or any search engine) job is to make things as convenient for their users as possible. With businesses, geography plays a big role in this as people want to locate services which are close by. By tracking your mobile phone or your desktops IP address, Google can determine where someone is searching from and based on this give them more accurate results. The same is true when an individual searches for something along the lines of “funeral homes in [city name]”. 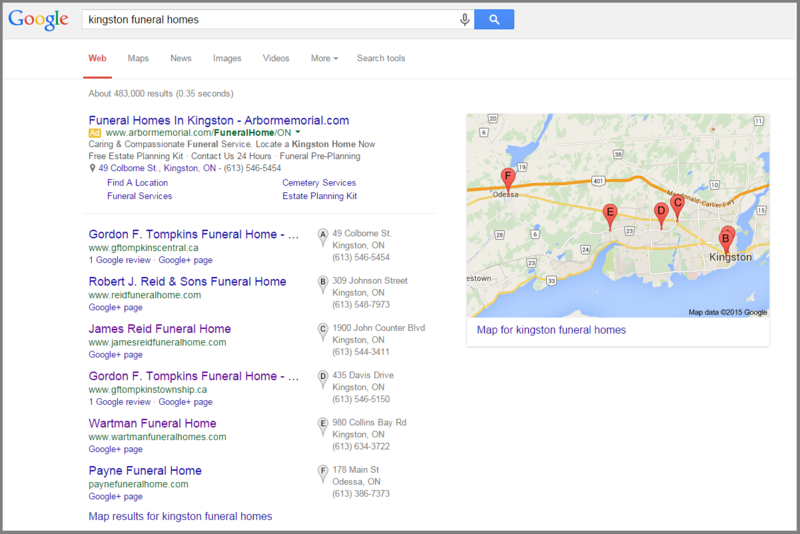 Google will then show a list of funeral homes within the search criteria, each with a page dedicated to it. These pages display any relevant business information such as business name, address, phone number, hours, and even reviews. This is often the first impression people will have of a funeral home and an incomplete page will reflect quite negatively on the business. Why Do I Need to Claim My Page? Simply put, an unclaimed page looks bad on your business, especially when it’s being displayed next to your competitor’s claimed and complete page. If your page is unclaimed you miss out on providing your families with valuable info, or worse yet, your page could be displaying the wrong information. Beyond this, you also run the risk of someone else claiming your page, if this hasn’t happened already. Not only is it an inconvenience to regain control of your page, it could also potentially be harmful to your funeral home. 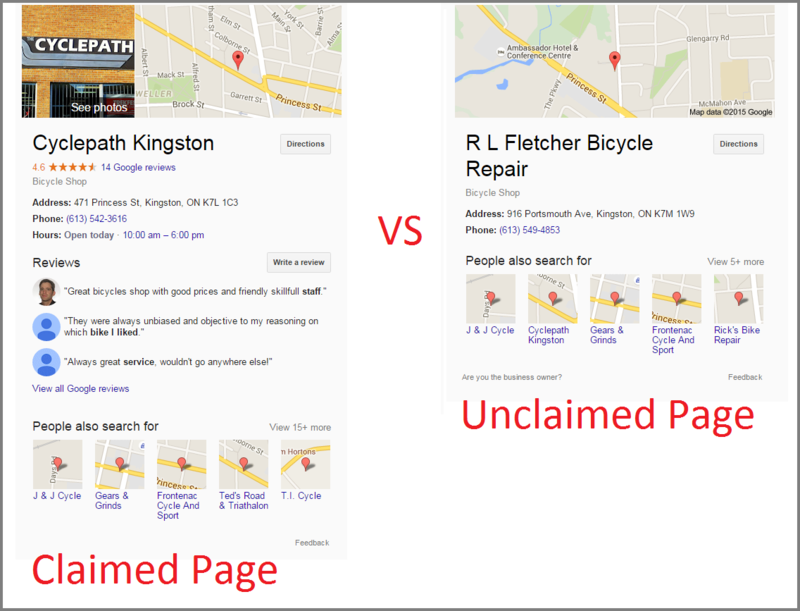 Take a look at the comparison below to plainly see the difference between a claimed and unclaimed Google page. Right away you can notice some striking differences in these pages. The first thing you may notice is that the claimed page has a picture of their storefront (this could also be your logo), whereas the unclaimed has nothing. The claimed page also has more store information (hours of operation) available upfront as well as reviews and their overall rating. These may look like minor things to a business owner, but to someone using your services it could mean the difference between them visiting your site or not. Even if you’re not aware of it, chances are you already have a local listing on Google. It could even be possible that it was claimed in the past and forgotten about. The good news is finding out the ownership of your Google local page and claiming it if you need to is a fairly easy process. Just follow these steps. Go to Google My Business and click on the “Get on Google” button. 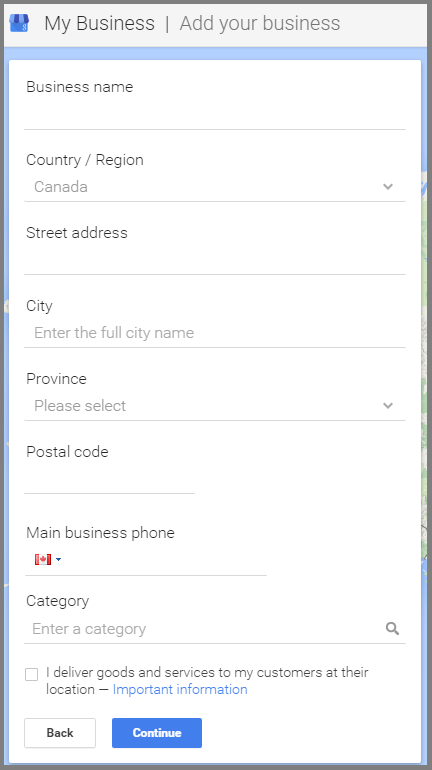 This will take you to a map where you can search for your business by name and address. As you type, results will start to pre-populate and you’ll be able to click on your business. If your firm does not appear, there is an option to “Add your business”. Simply follow the steps and fill out any information as needed. When you’re doing this, make sure all of the information you’re putting in is as accurate and truthful as possible. Don’t try to trick Google by throwing in a bunch of keywords as this will only come back to bite you. If you want to be safe on filling out this info, Google provides extensive guidelines on this topic. It’s possible your business will already be there, in this case simply follow the instructions. 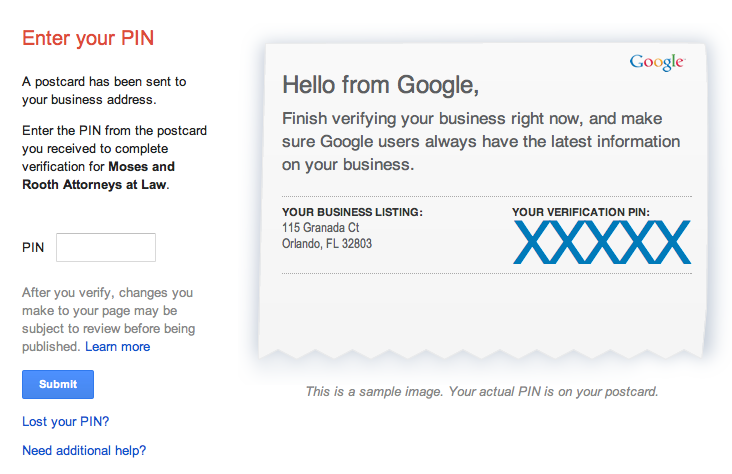 After you put in all the required information, Google will mail a verification code to the address you’ve specified. Once you get the code (it will take 1-2 weeks) enter it into your Google dashboard and you should now be in control of your page! If you’re going to take control of your Google Business page, then you probably want it to reflect your business. You should have your logo and other business photos on this page in order to brand yourself and really just make the page look nicer. Think of this as the online front door to your funeral home, you want it to be inviting. Also make sure you don’t forget to link your website here! Now that you’ve taken control of your presence on Google, it’s not ideal to just ignore it. In fact, the opposite is true. You should be encouraging families who enjoyed your service to go and leave a review on your Google page. On the same note it is vital that you are replying to reviews, especially negative ones. There is no way to disable reviews on your Google business page, so you need to keep an eye on them and respond in a timely manner. Claiming your business on Google is easy, and it could be one of the most important accounts you have online. It’s all about making your funeral home more accessible and current for families in your local market, not to mention getting involved in the conversations going on about your firm online. Giving families the info they’re seeking, when and where they want it, will leave a great first impression of your funeral home with them. Have you already claimed your local Google page? We’d love to hear your experiences with these pages, even if those findings are new because of this post! So happy to hear Anthony 🙂 thanks for the kind words – we appreciate it! !